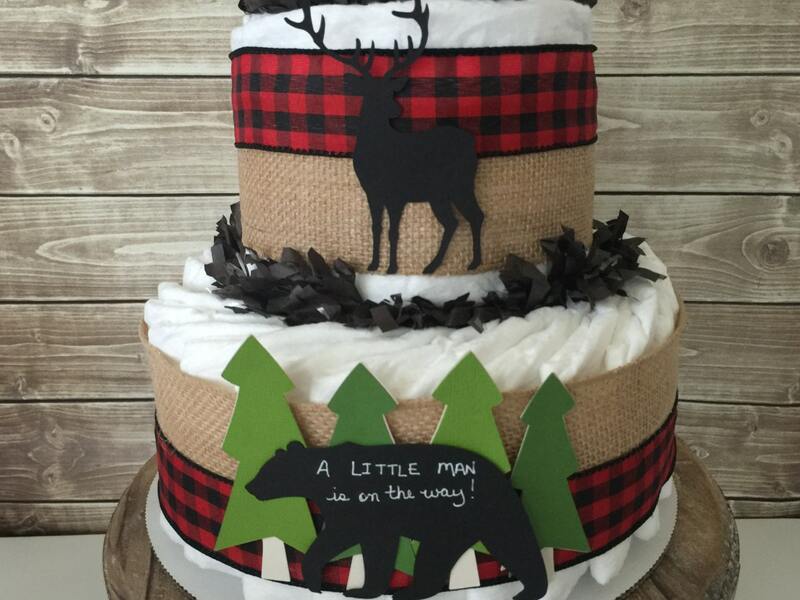 This listing is for a 3 tier Little Lumberjack diaper cake perfect for the upcoming themed baby shower! Need it in a different color combination? Just send me a convo of exactly what colors you need and I will create. 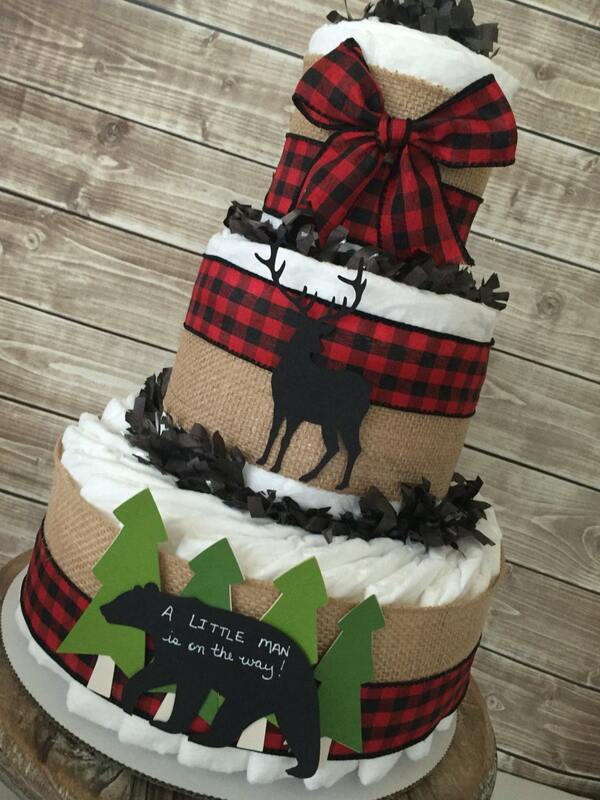 Become a fan of All Diaper Cakes Facebook for exclusive discounts and promotions! 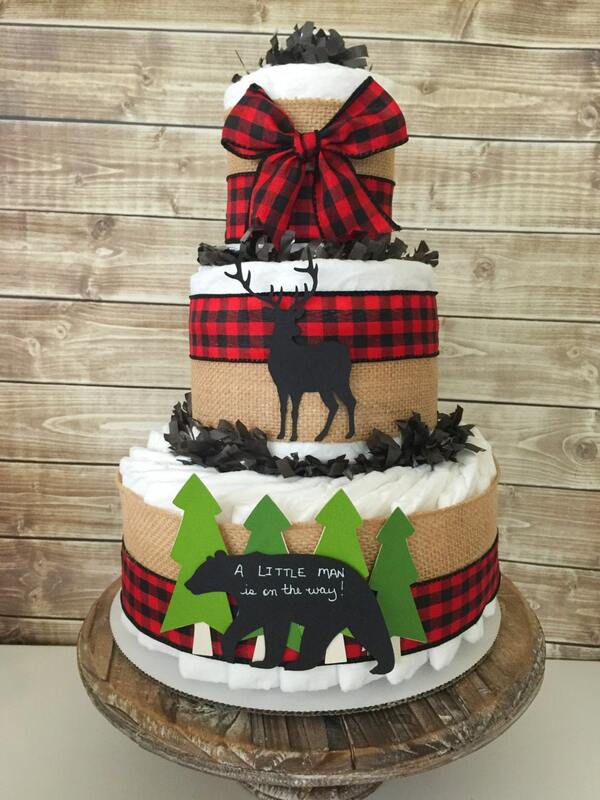 Absolutely love the diaper cake.great job and can't wait to display it at my daughters shower! !